An Altro floor-to-ceiling solution has helped to provide celebrity chef Richard Bainbridge with a dream kitchen for his award-winning Norwich restaurant. Richard won BBC2’s Great British Menu in 2015, and opened Benedicts, in Norwich, three years ago. 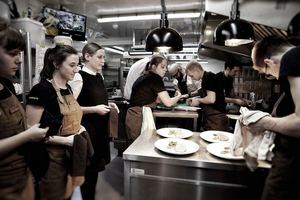 The restaurant has since won a raft of awards and been named in The Times Top 100 Restaurants in the UK, Square Meal Top 100, and been awarded 3AA Rosettes. “We opened Benedicts on a shoestring, all we had was passion and dedicated staff,” says Richard. “I’m delighted to say that our hard work is now bringing us some great success, and first on the list was that new kitchen." 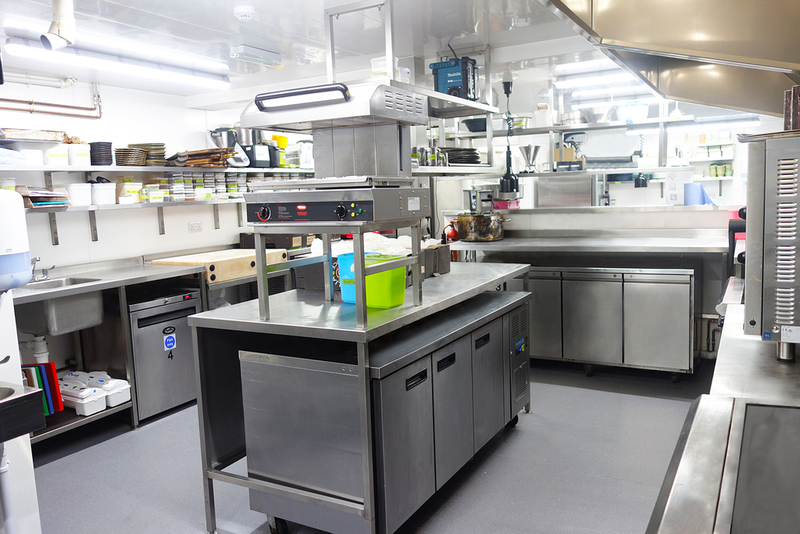 He approached Elite Foodservice Design who recommended a combination of Altro Stronghold 30 safety flooring and Altro Whiterock White wall sheet. Bainbridge added: “The Altro floor is incredible; it’s not only great to look at, but very safe underfoot, and so easy to clean. Elite put in some gulleys so water drains away, and that’s particularly good for the cleaning regime, as it dries very quickly. “The wall sheet is superb, with nowhere for the dirt to hide, it’s professional, bright and, again, very easy to clean. When you work the long hours we do, you want to spend as little time as possible cleaning, but it’s so easy to keep this system pristine." Altro Stronghold 30 achieves Altro’s highest rating for slip resistance and is designed to minimise risk in areas exposed to grease, oils and fats for the lifetime of the flooring. As well as helping to keep staff safe from slips, it also helps reduce their fatigue, thanks to its 3mm thickness which provides noise reduction and comfort underfoot.